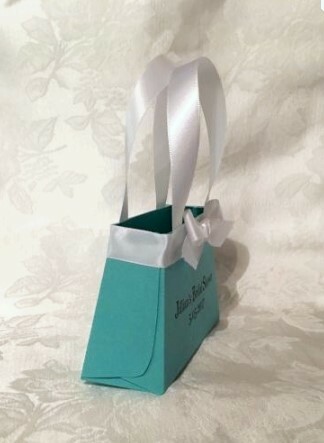 Your guests will be so charmed when they receive their faux Tiffany purse favor bags! 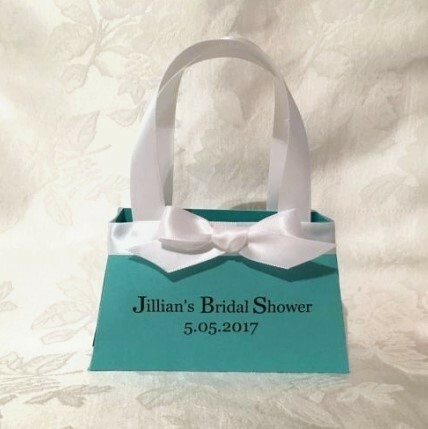 And it will add to your elegant Tiffany themed decorations. 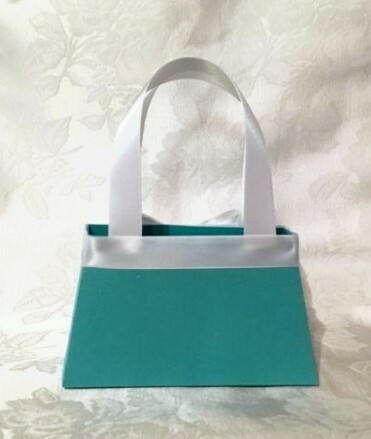 Each Tiffany handbag favor measures 5" across the bottom, 4" across the top. It's 1.5" wide at the widest part and 3" tall (with handles it its 6" tall). They'll hold 20+ Hershey Kisses ®. Due to high demand, please allow up to 10 business days to fulfill orders; add 1-5 days for shipping.